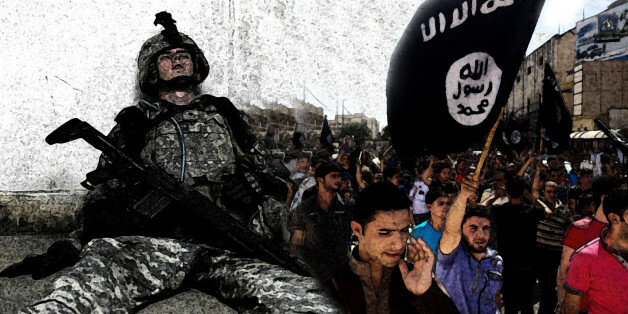 The meteoric rise of the Islamic State in Iraq and Syria (ISIS) and its declaration of an Islamic State straddling the two Arab countries raises the spectre of a militant Islamist state in the heart of the Middle East close to the borders of US allies like Israel, Jordan and Saudi Arabia. If the threat to Israel and Jordan is primarily security, to Saudi Arabia it is also ideological, with IS tracing its roots to the philosophy of the 18th-century warrior-jurist Mohammed Ibn Abdul Wahhab and other Islamic sources on which the kingdom was built, and constituting a reference point that Salafists cannot ignore. With its military advances in large swathes of Syria and Iraq, IS has achieved extremist control of the largest chunk of territory in recent times. It is the first jihadist group to seize control of resources like oil fields and refineries. They add to significant revenues earned from extortion and kidnapping as well as a revived flow of funding from individuals and charities in the Gulf. The group has currently seized seven oil fields and two smaller refineries in northern Iraq in addition to its Syrian assets. IS's focus on control of territory rather than spectacular international suicide attacks makes the United States and Europe less of an immediate target. As a result, IS projected the brutal and demonstrative killing of American journalist James Foley as retaliation for US air strikes rather than the launch of an anti-American terror campaign. Western policymakers and intelligence officials fear nonetheless that foreign volunteers joining the group's ranks could return home as hardened global jihadists. Ideological affinity and political pragmatism that contrasts with the ideological purity that Al Qaeda has sought to maintain, at times blur the lines between IS, Saudi Arabia and other Gulf states that have yet to crack down on the flow of funds, and the region's Salafist clergy. While IS has forged alliances with former Baathists -- unthinkable in the past -- its cooperation with local tribes is likely to have had tacit Saudi approval in the absence of a credible effort to establish an inclusive government in Baghdad capable of reaching out to Iraqi Sunnis. Apparent Saudi withdrawal of that approval could, however, put IS' alliances to the test. The kingdom signaled its shifting attitude with King Abdullah congratulating Haider al-Abadi on his mandate to form a new Iraqi government followed by the kingdom's grand mufti denouncing IS on August 19, 2014. Sheikh Abdul Aziz al-Sheikh issued his condemnation only after Abdullah had publicly criticized the clergy for failing to play its role in combatting terrorism. Sheikh Ali Hatem al-Suleiman Al-Dulaimi, leader of one of Iraq's most powerful tribal confederations, has meanwhile offered support for a new Iraqi government provided it meets Sunni demands for equitable power-sharing. IS's ideological challenge is reflected in debates among Saudi Arabia's political and religious elite as well as its Salafi base. Supporters of IS point to its confrontation of Shiites, widely viewed as heretics by Wahhabis and Salafis; its return to the roots of Salafism, and its view of existing regimes as apostates. Its Salafi critics fall into two categories: the quietists who fear a militant challenge to the Al-Saud family's control of the kingdom and enjoin obedience to the ruler even if he is unjust, and reformists who reject IS's totalitarianism as contradicting a Salafist tradition that promotes freedom of expression and endorses opposition to authority. To the quietists, IS raises the spectre of a repeat of Saudi history in which the Al Sauds defeated Wahhabi tribesmen in the 1920s and transformed Wahhabism from a movement that imposed puritanism by force and propagated an austere interpretation of Islam, into a socially conservative pillar of support for the regime. Quietists argue that IS's threat to reverse the Al Saud's co-optation of Wahhabism illustrates political Islam's inability to come to grips with modernity and the concept of a modern state. As a result, they argue that it necessarily will at best establish yet another authoritarian regime that already has demonstrated its rejection of any notion of liberal rights. IS military tactics of sowing confusion coupled with speed, fearless resolve, and the use of land mines and buried explosives, has made it a formidable opponent on the ground and more difficult to target from the air. IS's guerrilla tactics took by surprise Kurdish Peshmerga who relied on their outdated two decades-old guerrilla experience against the army of former Iraqi dictator Saddam Hussein. Beyond the security threat, IS challenges Saudi rulers with its effort to create a state that implements the very principles the kingdom's Wahhabi rulers claim to embrace. In doing so, it forces Saudi Arabia to walk a tightrope in balancing its policies that severely restrict women's and other human rights with its fending off of mounting international criticism that it is jihadism's ideological mother lode. "...Muhammad Ibn Abd al Wahhab, was a well-travelled, learned, scholarly jurist of the 18th century. He insisted on adherence to Qur'anic values and the teachings of the prophet Muhammad (PBUH) which includes the maximum preservation of human life, even in the midst of jihad. He taught tolerance and supported the rights of both men and women." "The government of Saudi Arabia does not support or fund the murderers who have collected under the banner of the Islamic State. Their ideology is not one that we recognize, or that would be recognized by the vast majority of Muslims around the world -- whether they were Sunni or Shia." To effectively counter the IS challenge, Saudi Arabia will have to match the ambassador's words with deeds. That would involve far-reaching reform, including the abolition of debilitating restrictions on women like a ban on driving and limited access to the labour market as well as an escalating crackdown on freedom of expression. So far, there is little indication that Saudi rulers are willing to travel down that road.